The most thorough carpet cleaning system ever! This Dry organic carpet cleaning system was designed to overcome the familiar problems with steam cleaning, or hot water extraction. The first is over-wetting. Steam cleaners are notorious for leaving carpets wet for days, even when professionally done. This can create a breeding ground for bacteria and fungi, which can cause health problems and unpleasant odours. The second is the soapy, sticky residue that is left behind which causes your carpet to re-soil almost immediately. These products contain detergents that not only have poor performance but are harder to remove than the dirt itself! Zero Drying Time, and you are able to use your rooms straight away! It is the environmentally preferred carpet cleaning system that cleans your carpet deep down leaving it fresh, clean, dry and ready to use. Currently we can offer the following cleaning services to our customers - DRY and ORGANIC Carpet Cleaning, Rug Cleaning; UPHOLSTERY Cleaning; Spot & Stain Removal; STAIN GUARDING; MATTRESS Cleaning and Protection; DUST MITE ALLERGY Protection; LEATHER Cleaning & Conditioning. 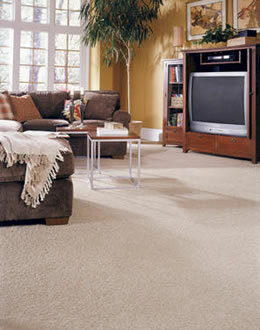 If you are looking for a carpet cleaner please consider having dry organic carpet cleaning. A free quote can be arranged at a time that suits you and your questions will be answered in a honest fashion all rooms are back in service immediately. Are you looking for a Dry Organic Cleaning System that is SAFE, GREEN and CLEAN? Now there is a professional and effective way to... Keep your carpets and upholstery at their best! 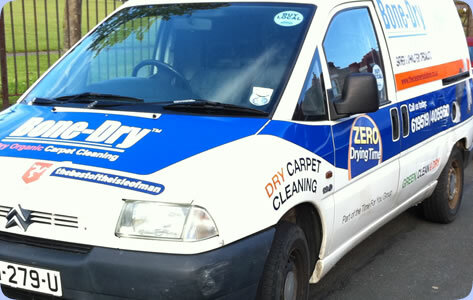 The simple fact is that you can have your carpets cleaned by professionals using ORGANIC materials leaving them DRY! There is no doubt that this will far exceed your expectations! You don't have to take our word for it. TRY US! We are passionate about caring for our clients. Giving great customer service combined with a fantastic product gives every client an amazing level of satisfaction. This is the most thorough, alternative, innovative system of organic carpet cleaning which will leave your carpets clean and dry in minutes and will leave you with the “wow” effect! Our system is suitable for both the Domestic and Commercial markets, offering competitive rates and extremely clean carpets. The system cleans by using a natural compound, which absorbs soil and grease as it is brushed through the carpet. The compound is safe for all carpets including wool. The Dry Cleaning method does not remove stain-resistance or change the colour of the carpet. 7.5 Litres of water left in your carpet to dry out !!!!!!!! This can take hours, sometimes days to dry out !